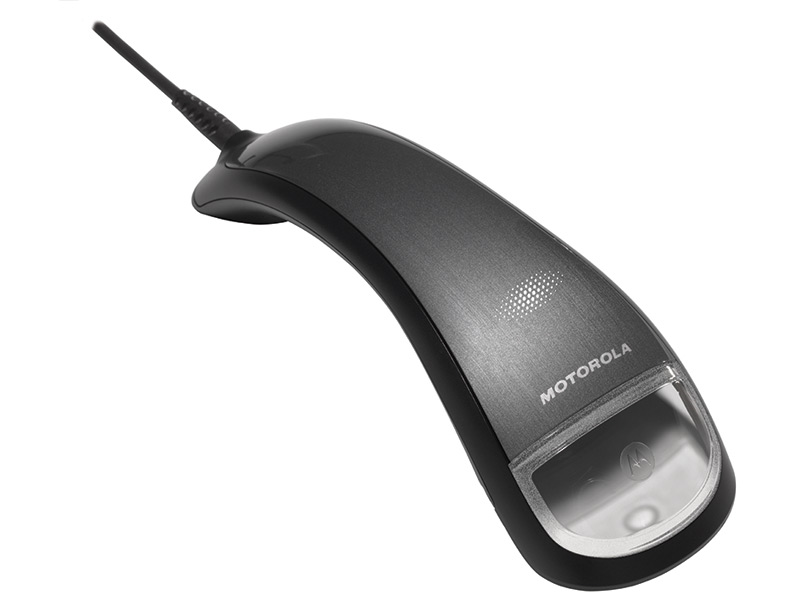 *Motorola DS4800 is now known as the Zebra DS4800. An elegant and powerful 2D scanner than can be customized to compliment your brand. 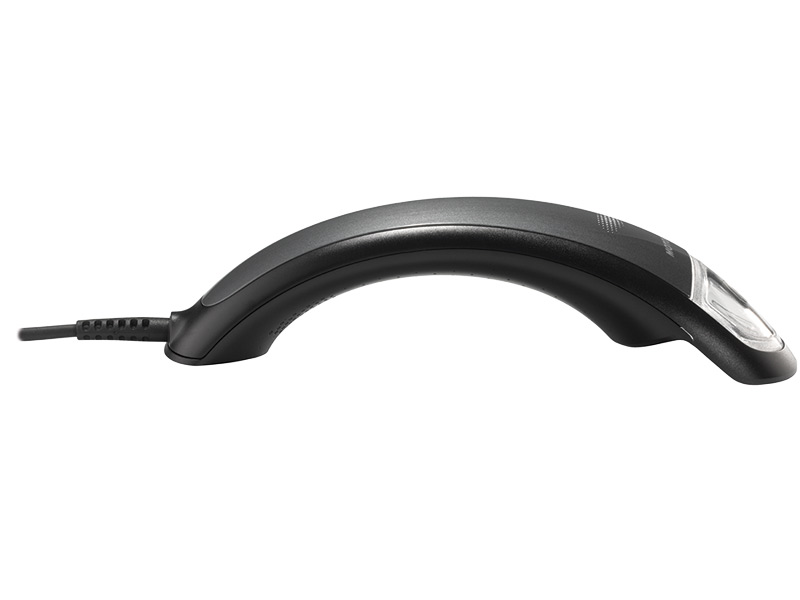 The Zebra* DS4800 2D barcode scanner gives your business a powerful and sleek way to capture data. The aggressive scan engine, ergonomic design, and customizeable aesthetic make it a fantastic choice for boutiques, multi-lane retailers, or any business wanting a product that will add to their check stand's attractiveness. A 2D imager, the DS4800 offers the fast scanning you need. 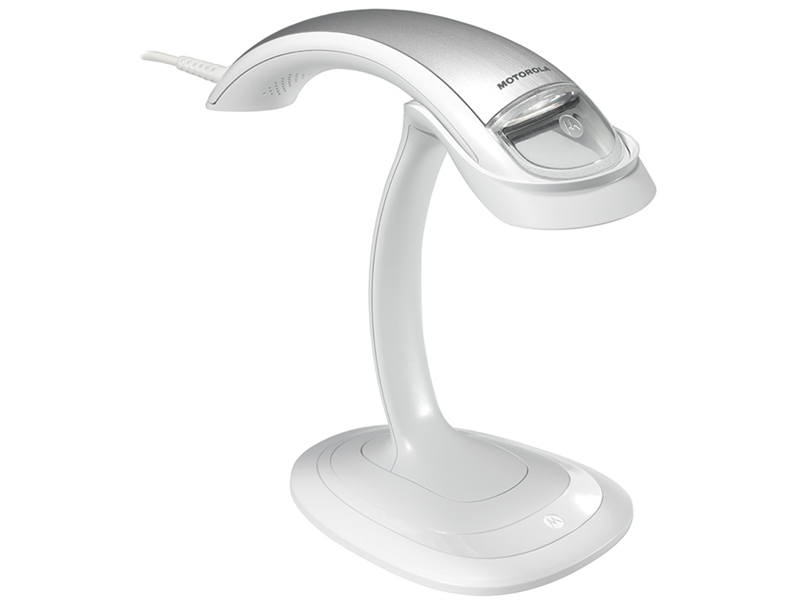 The scanner can read retail barcodes from contact to up to 18 inches away, and an optional presentation stand provides hands-free scanning possibilities. For customer data entry, such as customer loyalty, credit card applications, or health care admitting, the DS4800 can parse driver's license barcode data, sending the data you need in the order your software requires. The fast scanning also extends to LCD screens, great for mobile couponing or ticketing applications. Customizing the scanner to match your business's look is easy with the DS4800. The scanner can be customized to match your color scheme and branding, at certain minimum order quantities. Rather than playing a beep tone, the DS4800 plays WAV files on power up and after successful scans. With Zebra's 123scan software, you can change these to whatever you want, ensuring the scanner is unique to you. 3.0 Mil .8" to 4.7"
4.0 Mil 0" to 8.5"
5.0 Mil 0" to 10"
7.5 Mil 0" to 15.5"
13 Mil (100% UPC_A) 0" to 22.4"
20 Mil 0" to 36"
26 Mil 0" to 47.6"
100 Mil (reflective) 0"- 175"
The DS4800 offers fantastic customization options unheard of in the barcode scanner market. The sleek design and powerful scan engine add to the scanner's capabilities, making this a great choice for virtually any installation. Find it faster! Click here to compare DS4800 models by feature. 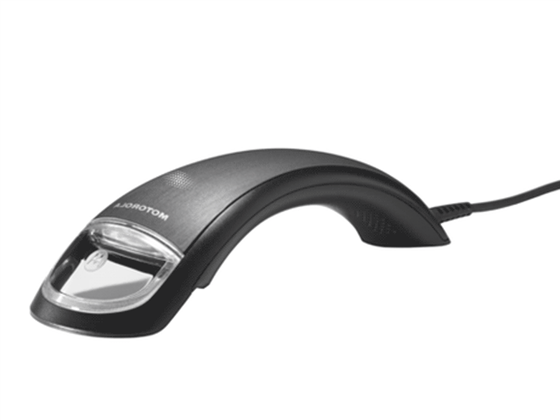 DS4800 Barcode Scanner - Available Soon - Call for Availability! Hi this is Travis with POSGuys.com. 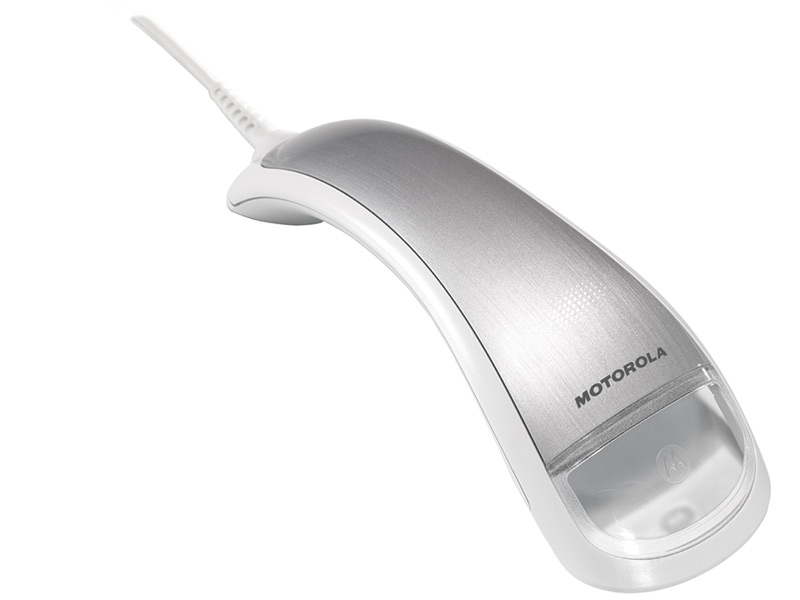 We're taking a quick look at the new barcode scanner from Motorola. This is the DS4800. We expect to see this in a lot of retail environments. It's a bit difference than the traditional scanner and pretty cool. One thing that definitely changed was the trigger. There really isn't one. Its gone to a touch sensitivity. So if you look at the top you'll see the grid of lights. When you touch it you get a little haptic feedback. Like on your cellphone and that is what launches the trigger, the beam of light. So you can use your index finger, thumb, it's pretty comfortable. The other unique feature of it is instead of a traditional beep that just has that single tone for a correct scan, it has a speaker and a sound file system so like when you plug it in You kind of hear a cool little sound there. When you scan It is a new beep and you can customize that beep so if your store is more industrial and you want an industrial sounding beep then you can do that, or if its a more quiet and subdued then maybe you want something really pleasant. The new DS4800 has great scanning capabilities, it uses a similar scan engine to previous scanners. So you can go anywhere from almost contact out to a foot and a half. Standard sized barcodes. It is an imager so you can scan at any angle you don't have to be lined up perfectly. And it scans small barcodes to larger ones. 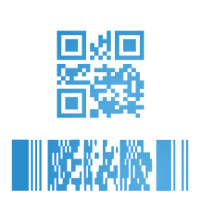 It also does 2D barcodes in particular PDF417 so if you're going to be doing drivers license parsing for registration or customer information then it has that capability. As far as colored barcodes, here we have blue on yellow, straight blue, we have some red around, it scans any of these barcodes just fine. Cellphone scanning it does particularly well. So basically any of the challenges in the past with cellphone screens and it being reflective and not uh flat like a piece of paper is pretty much gone so you can read cellphones just as well as paper which makes it great for mobile couponing. So in addition to the unique tone on it, what is gonna really make this scanner popular with the retail environment is the customizations on it. This top piece here, tho silver top piece can be produced to be unique to your company. So if you want it to be black or orange, purple, whatever, you want to have some kind of design behind it, it is custom printed so you can, as long as you're ordering enough of a quantity, you can have a unique look to your scanner. Default you have black and you have a white that matches like an iOS type of look. It's great it's light, it's going to have an intellistand available as well. A good warranty and an extended warranty should you really want to secure your investment. For more information on this scanner please visit us at www.POSGuys.com.